Today we will discuss the marketing propaganda of heartless corporations. Gullible consumers serve as the victims. I do not reserve the right to offer the final judgment, especially as this area seems to be boundless. You must have read hundreds of times about the "top audio company unveiling its latest device ". These statements are often accompanied by numerous links to reviews provided by the leading experts in the field. Let's think how a certain company becomes a top one. Its products must have unique selling points or at least the company should be able to market them as such. The first element is not so straightforward as you have to invest heavily into R&D, while the price of promotion remains the same. Little known companies can follow different patterns. 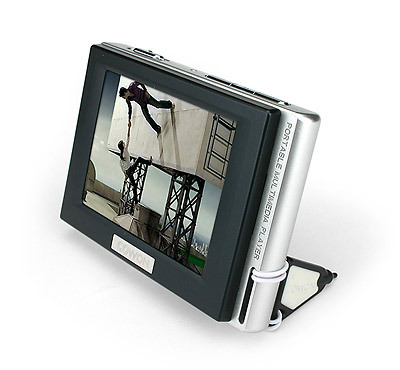 The first option is to produce accessories for high profile products. 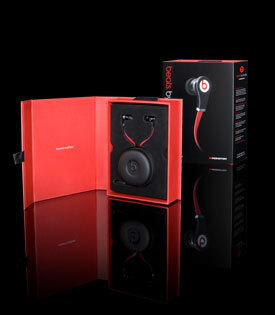 For example, you can find an array of accessories for iPod with the prices ranging from low to extremely high. What can we say about the headphones world? I guess it is almost the same. Look at Stefan Audio Art Endorphin HD800 replacement cable priced around $850. It is used for Sennheiser HD800 headphones, which will fetch you close to $1300. We will mention the headphones a bit later. Now let's stay with this cable. It surely looks great, but how much does it cost to produce. I am not a professional in the development and manufacturing of replacement cables, but I doubt that such expenses exceed $500. 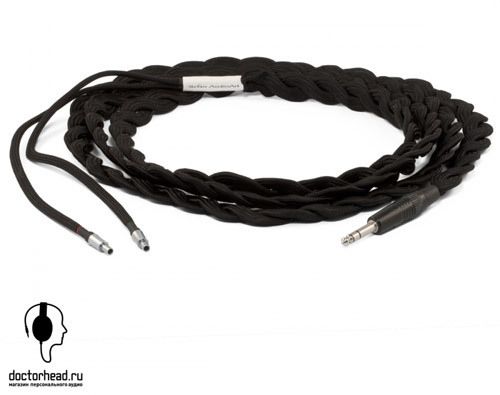 Moreover, the headphones, which this cable can be used with, are produced in small quantities of around 1000. So you do not have to sell tons of this gear, but can still earn a lot. Finally, you can offer discounts or adapt connectors for other headphones. Stefan Audio Art is one of Sennheiser's satellite companies, but look at the big boys themselves. What are the latest headphones offered by this German audio powerhouse? 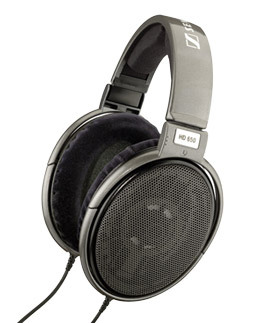 In fact, prior to the launch of HD800 it offered many similar products at different prices. For example the range comprising HD580, HD600 and HD650 had a slightly different loading and similar radiators, but the long lifecycles of each model led to changes of loudspeakers (and loading) over time. The models obviously differed from each other, but the price gap of 100% cannot be justified by the difference in sound quality. The headphones are not cheap as HD580 cost around $200. If you dig deep, you will see that the main commodity of Sennheiser is not headphones, but its reputation. When a customer comes to the shop he may discard a model from Creative, but will buy Sennheiser. It looks as a conscious payment of extra money for the brand. Some models are ordered by different companies from the same suppliers in China. 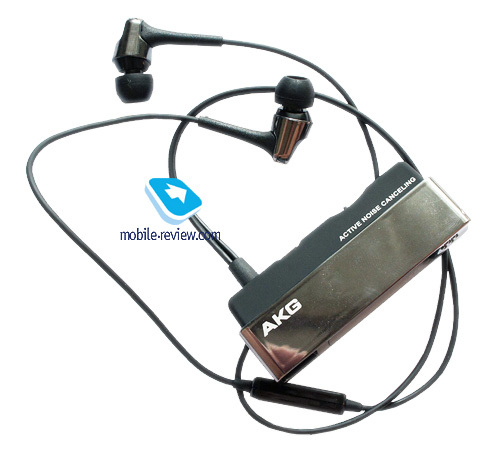 Entry level models are often not related to the flagship headphones of the same manufacturer. This trick works well not only for Sennheiser, but for Sony as well. Surely, these companies deserve their good market reputation and they use it to sell new models. You don't have to keep in mind pairs of companies, where one sells inexpensive solutions, while the other offers only top quality. Consumers buy what they are told. I mentioned Sony for a reason. When I read about the unrivalled sound quality of modern Sony players I always wondered how plausible these rapturous reviews of the products are. 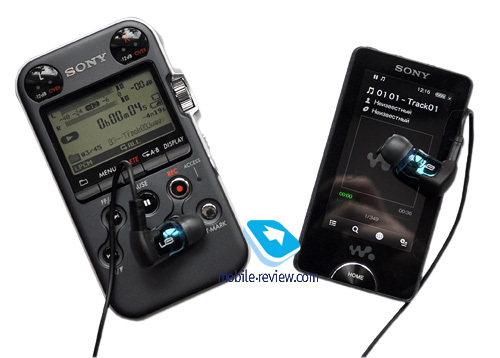 Eventually, I compared the recorder and player from Sony, which showed a landslide victory for the professional equipment over a consumer electronics item. We should not blame the company alone for our consciousness manipulation as it is a mutual process. The majority of consumers are not ready to pay a lot for portable sound if they have to sacrifice the ergonomics. Any top Sony player costs more than analogues, but the extra charge is probably acceptable for consumers. People want to have something special, but are reluctant to pay much. They end up with the quality of iPod with proprietary "enhancers", but can discuss the particular sound features of the player. Is it a placebo effect? Not completely, because the sound is really different. You just have to make people believe that the sound difference is good. We witnessed something similar with Cowon players. The Korean manufacturer used to position itself (and they still exploit this image) as the "best solution for the money" or excellent sound at reasonable prices. The features and design are also good. In the case of Teclast we clearly see the design "borrowed" from iPod, a weak screen and they probably do not pay license fees, into the bargain. They invested around $5 more to improve the sound in comparison with Cowon and Sony, but the end product is interesting. On the other hand, big corporations believe that the quality is enough and the market does not accept extraordinary solutions. Financial losses are quite predictable here. Finally, we have to fool ourselves. The companies make themselves (and then the consumers) believe that the sound quality doesn't have to improve. Everything is fine, especially for a particular manufacturer. Consumers mistakenly believe that by choosing from a bunch of uniform players they get better or worse sound. Recorders are not sold in every shop and comparisons will not work for many consumers. Even if they feel the difference in sound they will prefer to read reviews of consumer electronics items and take it from there. In other words, the blurred borderline between ordinary and professional audio equipment is not good for the industry. Those who use bricklike HM-801 are quickly labeled audiophiles, which is not the case. The sales of top players, which are not different inside from entry level models (but use all the right slogans and have the necessary labels), bring enough revenues not to bother about the future. Come up with a new "enhancer", new body and screen and the product will enjoy good sales. If almost all consumers are satisfied with the sound quality in any player, why worry? Only time will tell whether the corporations are right when they save every penny on R&D, but splash millions on promotion. I am an optimist and hope people will understand that they are fooled and stop supporting the corporations. Fortunately, we already have alternatives in terms of sound quality from China. These players and headphones cost little, while some models are really worth attention. We may return to the topic, but that's enough for now. If you think it over you may find identical situations in other areas. When there is no real progress and every move sideways is presented as a genuine technological breakthrough one has to think if it is necessary to be fooled or remain critical and do the right conclusions. We are through with such a hot commodity as brand reputation no matter how ephemeral it is. It helps to sell the product, that's for sure. But what can we see when we come to the shop? A box with the headphones and an advertising stand depicting the player represent the product's framework. It is not a strong point of Chinese manufacturers. The package is usually unpretentious and slogans are not very eloquent. To see the difference look at headphones from Monster Cable. This is a high class design work. By looking at the package you will remember nice words explaining simple things in a sophisticated way. Certainly, you will come across short terms to review everything at home. They are not directly connected with the sound quality, but we sell packages not products. Then the sales manager tells you about the outstanding characteristics of the model, let's say, powerful basses or crystal high frequencies. Nice looks are important for players, while for headphones, judging by successes of Monster this point is less crucial. It happened that, everything in a human being should be beautiful and headphones are not an exception. Inquisitive readers probably need particular recommendations to assess the product judging by its package and associated press release. Unfortunately, I will be brief. Even the specifications, which many people view as key items for products comparison, are turned into simple figures. Look at the package of any headphones. You can find there info on the supported frequency range. According to Hi-Fi standard the divergence in the designated frequency range must not exceed 3 dB. Parameters indicated on the package are usually measured in certain conditions. I can't rule out a possibility that when headphones do not reproduce the right tones and just bang or bleep the resulting sounds are also taken into account. So, an entry level model like Sennheiser CX300 reproduces the range between 19 Hz and 21 kHz, when HD650 works between 10 Hz and 39.5 kHz. As an average person cannot hear frequencies above 20 kHz or below 20 Hz these two models should have no difference apart from a higher capacity of HD650. What else can you find in terms of objective characteristics? Impedance means electrical resistance. At times the manufacturers sincerely mention that the parameter was measured when a particular frequency signal was used (usually it is 1 kHz), but sometimes they just state, for example, 16 Om. In real life the impedance may go down a couple of times below this theoretical figure or increase 10 times depending on the frequency. The sensitivity is also given at some particular frequency (usually it is 1 kHz). This is easy to understand, because the higher the parameter, the better. Even in this case you cannot be sure that headphones will provide normal volume as it depends on the player. Another frequently indicated parameter is the level of noise reduction. Again I have to mention that all measurements are taken at the particular frequency. On this very frequency the headphones can reduce the external noise really well. You can hear useless figures as 6 times (or 95%) noise reduction. Use the headphones in the metro to learn that these parameters mean nothing. Finally, we come to the conclusion that marketing tricks are necessary to lure consumers to shops, where they should make "right" choices. The best solution is to sell different headphones for home, street, jogging in the park, long distance flights, etc. By the way, several accessible headphones together may cost a fortune. From time to time we have to think if we want to pay for the package when you don't like what's inside. Design is important, but features of a device are not secondary. Players and headphones should give you high quality music sound. The rest is extra. Can you write anything like this about mid priced receivers and acoustic systems? I am glad you believe in me, but my experience in full scale acoustic devices is limited. At the moment I would rather stick with issues common for portable and "serious" sound systems. For example, interconnect cables.